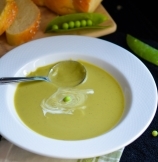 5 Ingredient Creamy Green Pea Soup without creams. Vegan and gluten free. Taste of spring in a bowl. 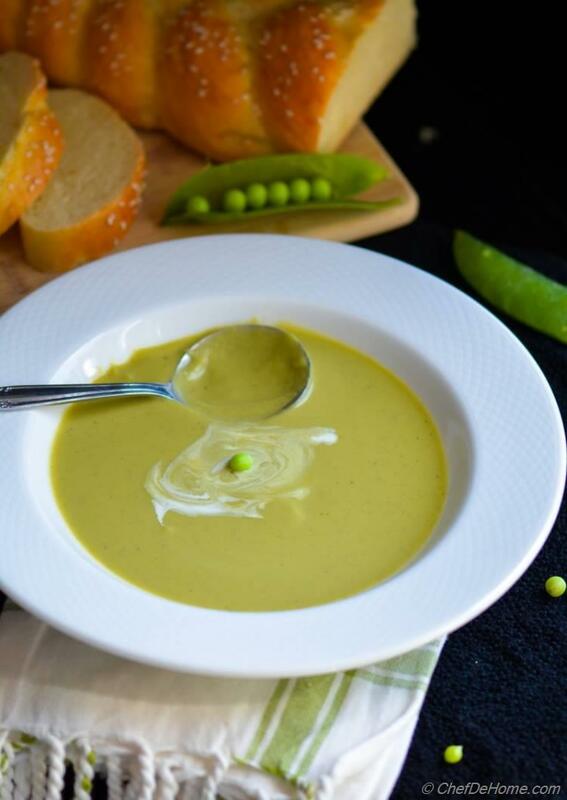 Sharing with a simple, yet flavorful way to eat, pick of season, fresh green peas! This velvety soup is packed with flavor and sweetness yet is low in calories and is healthy and satisfying! Especially on a chilly day, this soup is a bowl of comfort to me! All year long we end up with frozen peas..... I was so excited to see fresh green peas in market last week that I grabbed a few pounds. Indian Rice Pilaf with Fresh Peas is very common in home for dinner. So handful went into that! 1 pound of peas with pod yield about 1 cup of peas. It sure needs some time to shell'em but you won't mind doing some labor o eat fresh and healthy? won't you? Gluten Free? Yes, soup is completely gluten free. Even though you will see some bread croutons in few pictures. Croutons are completely optional. Vegan? Yes, this soup is vegan, I have added a teaspoon of coconut cream to finish the soup just before serving. If you are not vegan, feel free to finish with some heavy cream. 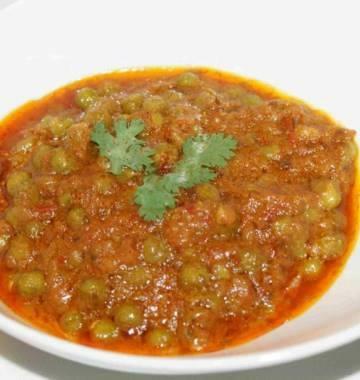 The base soup does not need any cream, if you have used fresh spring green peas and cooked as instructed, this is velvety enough to not demand even a drop of cream! Other than these, soup is nut-free, soy-free, low-fat, low-sodium, and fit for paleo diet too! Just don't use any cream or bread croutons! I hope you all enjoy looking at the pictures! It is chilling outside! 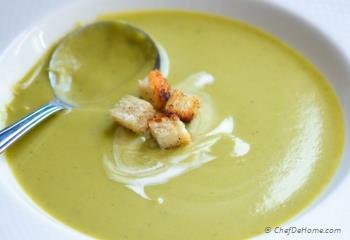 Go get some fresh peas, make the is soup tonight!!! Total Time 35 minutes Prep Time 10 minutes Cook Time 25 minutes Difficulty Easy Yields 4 Cups Serves 2 Notes 2 substantial or 4 side servings. 1. Heat oil in heavy bottom saute pan, add onion and saute until start to brown at edges, add minced garlic, and seasoning and cook for 30 seconds. Don't let garlic burn. 2. 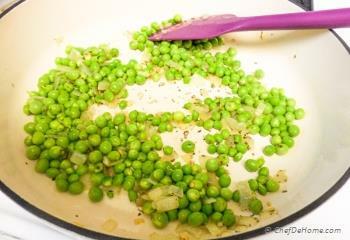 Add shelled peas, and vegetable stock. 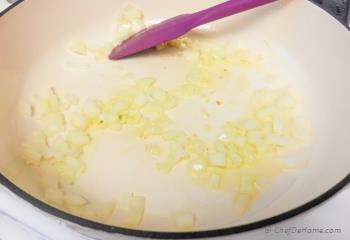 Bring mixture to boil, then reduce heat. 3. 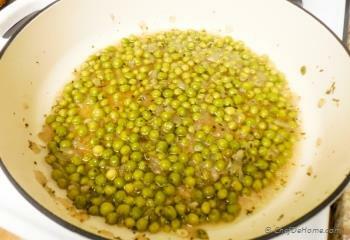 Cover and simmer for 15 minutes or until peas are cooked and have just started to change color. Remove from heat. Puree soup in food processor or blender in two-three batches, carefully as liquid will be hot. 4. Return soup to the pot. Add little more stock if soup looks thicker than you prefer. Heat it through. Serve garnished with bread croutons. 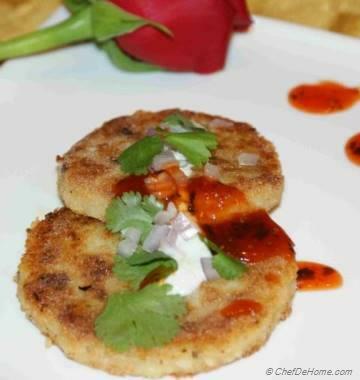 If serving gluten free, garnish with hint of cream and fresh basil. Soup has no gluten contents. Bread croutons only used for garnish. Don't use bread for gluten free soup. 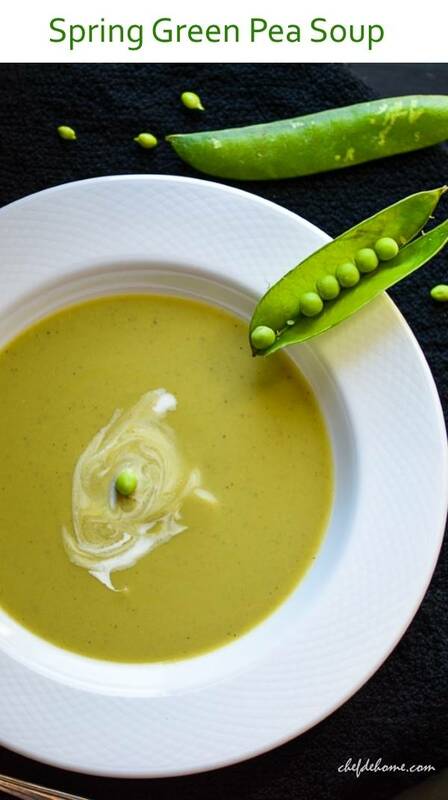 If in hurry, you can make this soup using frozen peas, and reduce cooking to half. I made this recipe to bring to my grandparents this weekend and they LOVED it! They barely eat anything these days, but my grandpa even got up for seconds- I'd call that a success in my book. Thanks for the recipe! Laura, you know, it is huge success in my book as well! First of all, thanks for trying the recipe. Plus if your grandparents liked it, I think my effort in putting this together is hugely rewarded! 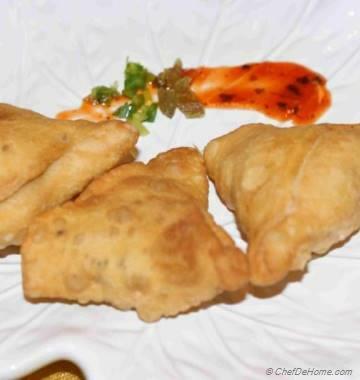 cheers to home cooking! thanks everyone! I really appreciate your feedback! I am huge fan of fresh peas. It's one of my favorites out of the garden - I generally pick one for my basket and then eat one. Needless to say, I don't end up with much once I'm done picking! There is seriously nothing better than fresh sweet peas! This soup looks fabulous! Can't wait to try it! Manali, thanks! me too wishing the same! I made soup yesterday, and now I wish had more! ;) thank for pin girl! appreciate it! Savita, the soup looks awesome! So comforting! I wish I could eat this for lunch right now because I don't feel like eating what I have in my refrigerator, haha. Pinned. Gayle, thanks! 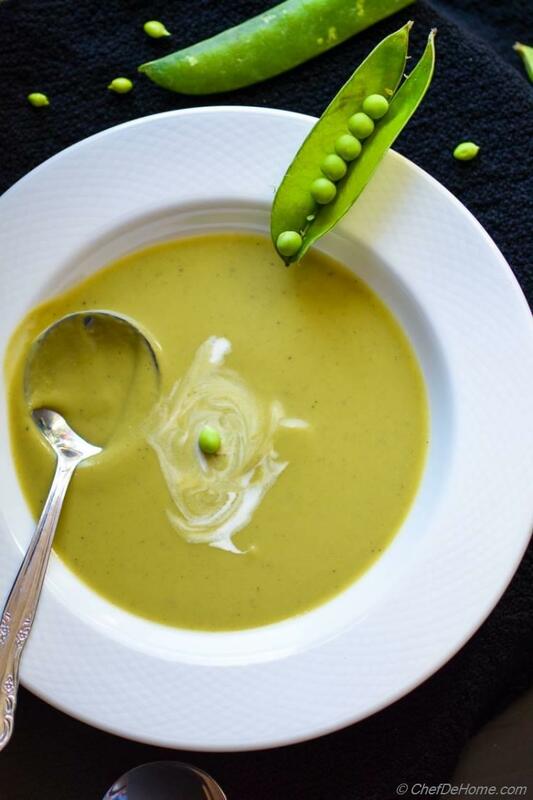 indeed, color of this soup is welcoming spring! What a gorgeous soup, Savita! Perfect for fighting of the winter blues and onto spring!